All estate agents have their selling points, but most offer similar services, just at varying degrees of competence. We have highlighted 6 reasons why you should use Coppenwall Estate Agents. Traditional methods of marketing are fading in the world of estate agency. When was the last time you looked in the paper for a house? How many leaflets do you throw away without reading? Here at Coppenwall, we can see that both buyers and sellers are searching online for their perfect property. Learn more about our property marketing skills. You can also view some of our property videos on our YouTube channel.  We list on Rightmove, the UKs largest listing portal with over 120,000,000 views per month, Zoopla and Nethouse prices. Coppenwall also list your property on Facebook via the Marketplace, which is Rightmove’s biggest competitor, especially in the USA. We also have a property portal of our own Coppenwall Property Portal. Coppenwall pay for Facebook advertisements to increase your reach within the local area. We make sure you are absolutely everywhere you need to be, to make sure you have the best possible exposure. We are open 7 days per week. So many times we have come across people who really struggle to commit to valuations, or having pictures taken due to work shifts, or family commitments. Due to this, we have made sure that we are available on a Sunday from 9am til 12pm, so we can really work around you. We are also very flexible in terms of evening appointments. We have had years of extensive training working at a RICS Chartered Surveyors estate agency, trained by the surveyor himself, as well as, having attended numerous national training courses for both residential and auction sales. There is no-one better qualified to provide you with an honest valuation, to take fantastic photographs, and to market your property. I cannot talk about this feature enough. The modern auction is becoming increasingly popular, and is showing phenomenal results for property sales – ask us for a copy of some local case studies to see how well they work. If you are looking for a quick sale, and want market value or more for your property, this option is for you. Learn more on our Coppenwall Property Auction page. The best bit is your buyer pays all your agency fees, so apart from a legal pack (max of £160 inc VAT), you do not pay us a penny. Coppenwall do not have an office locally, so we are classed as an online agent. This is not a bad thing. We offer the same services as any high-street agents. We’ve received some fantastic reviews for our services. Coppenwall can arrange meetings to go through your listing and online statistics. We offer a totally customer focused experience. Coppenwall do not have the expense of renting a building, we can offer reduced marketing / selling fees. We can sell any house, at any price for a FIXED FEE of just £950 VAT exempt. This includes your for sale board, all photography and floor-plans. There are no hidden fees and you only pay on completion. Sell you home via our Classic Route. There are lots of great agents out there, but we pride ourselves on being extremely passionate, motivated to sell your home, and our great packages mean you don’t have to break the bank when moving home.  If you have any questions in relation to a property, even is it’s not marketed by us, we would still love to speak to you and offer advice.